The Palace congratulated the tourism department for receiving recognition for its global tourism campaign, “It’s More Fun in the Philippines." The Department of Tourism's promo landed third among the world’s best marketing campaigns, and the first in the Asia Pacific region, according to Warc 100, a global annual ranking of marketing campaigns based on performance, effectiveness and strategy. The Warc 100 serves as a benchmark for commercial creativity. It ranks the world’s best campaigns based on their performance in effectiveness and strategy competitions. 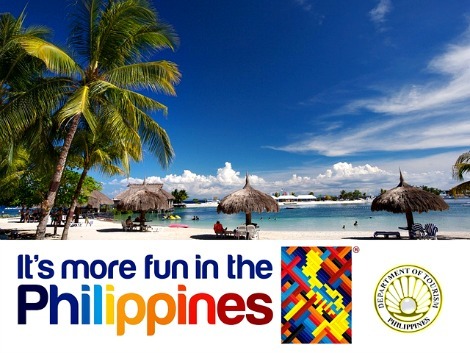 "Congratulations to Secretary Mon Jimenez, to our fellows in the Department of Tourism as well as BBDO Guerrero for a very successful marketing campaign with 'It’s More Fun in the Philippines,'" Deputy Presidential spokesperson Abigail Valte said in an interview over dzRB Radyo ng Bayan on Saturday. The award is an icing on the cake for the DOT and for Secretary Jimenez, Valte said. The palace official also mentioned the increasing budget for the DOT and for other tourism-related projects. The current thrust is tourism convergence as the DOT, DPWH and other government agencies work together to strengthen the country's tourism sector, Valte said. For instance, the government is connecting the airports to tourist spots in the provinces, she said. In the 2015 budget presented by the budget department to the Cabinet, it allotted more money for the DPWH to build roads and bridges, an increased from P130.4 billion to P186.6 billion.